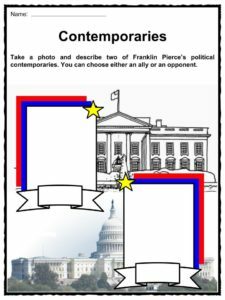 Franklin Pierce was the 14th President of the United States (1853-1857). He signed the Kansas-Nebraska Act, which fuelled a debate between both Houses of the Congress. 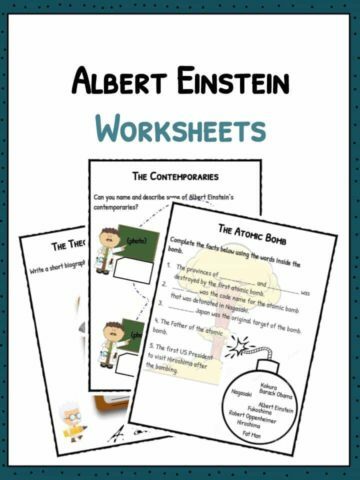 Some considered him a traitor as a result of his actions during the Civil War. 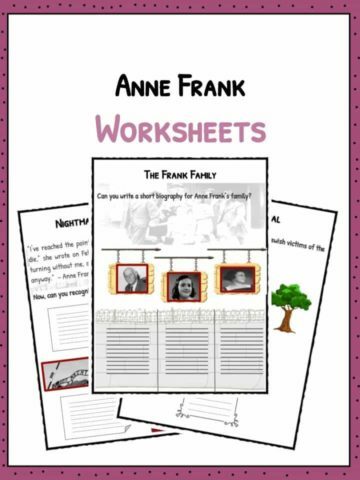 For more information on Franklin Pierce read the fact file below or download our comprehensive worksheet pack to utilise within the classroom or home environment. 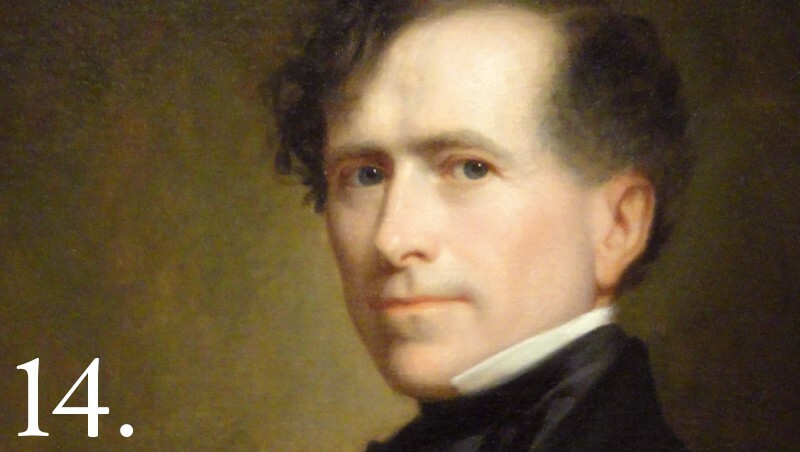 Franklin Pierce was born on November 23, 1804 in Hillsborough, New Hampshire. He was one of the eight children of Benjamin Pierce, a veteran of the American Revolution, and Anna B. Kendrick. Young Franklin attended local private academies before he entered Bowdoin College. In 1826, he studied law, was admitted to the bar a year later and afterwards practiced law in Concord, New Hampshire. On November 19, 1834, he married Jane Means Appleton with whom he had three sons, namely Franklin, Frank Robert, and Benjamin. In 1829, Pierce started his political career when he was elected into the New Hampshire House of Representatives. At the end of his term in 1833, he became the youngest member of the U.S House of Representatives. From 1837 to 1842, he was elected to the U.S Senate. He went back to New Hampshire as the state’s Attorney General in 1845. Two years later, he joined the U.S Army during the Mexican-American War and was a Brigadier General who belonged to the troops who captured Mexico City. Afterwards, in 1850, he became the President of the New Hampshire Constitutional Convention. 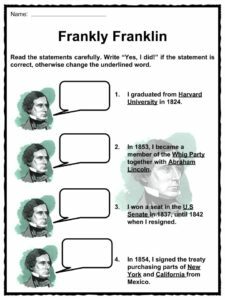 He was a supporter of the debated Compromise of 1850. The Democratic Party, where he was a member, won the 1853 election against the deteriorating Whig Party. In January 1853, his son Benjamin died in a train accident. His wife Jane was later called the “Shadow of the White House” because she seldom spoke to people. On March 4, 1853, Franklin Pierce took his oath of office as the 14th President of the United States at the East Portico in the U.S Capitol. After a month, his Vice President William R. King died of tuberculosis. 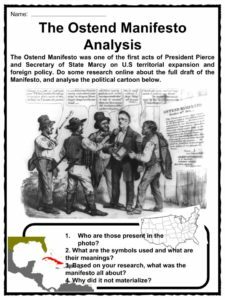 In 1854, the Ostend Manifesto was drafted, identifying the benefits of purchasing Cuba from Spain. It triggered the debate on whether Cuba would be a slave or free state. The Manifesto remained a draft because of the quarrelling between the existing U.S states. On April 25 1854, President Pierce signed the Gadsden Purchase, which involved the purchase of the Mexican-controlled territories of southern Arizona and southwestern New Mexico, for $10 million. 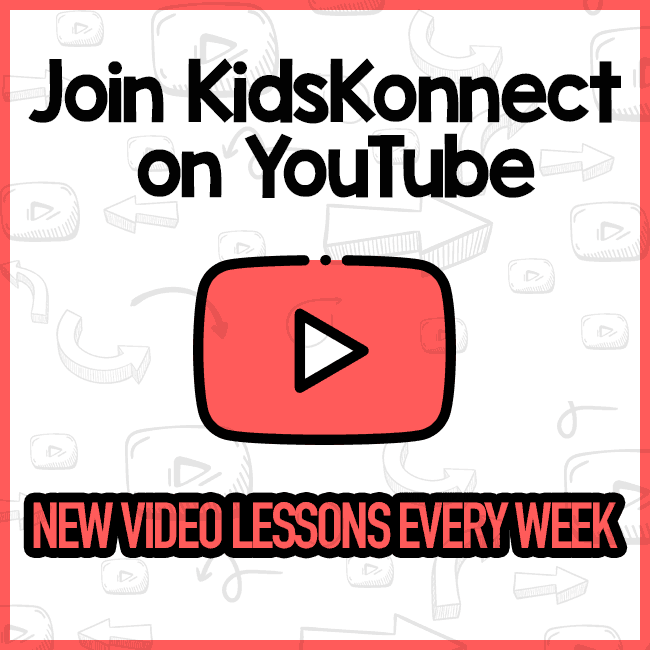 It made the transcontinental railroad to the south possible. On March 31, 1854, Commodore Matthew C. Perry successfully arrived in Japan to establish diplomatic and trade relations with the Japanese. Senator Stephen A. Douglas proposed the Kansas-Nebraska Act of 1854. It was intended to allow the building of a transcontinental railroad up to the northern states. 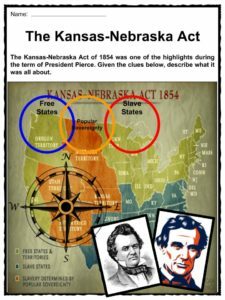 Kansas and Nebraska were at that time under the existing Missouri Compromise, however the new act stated that the debate on slavery would follow the concept of Popular Sovereignty. 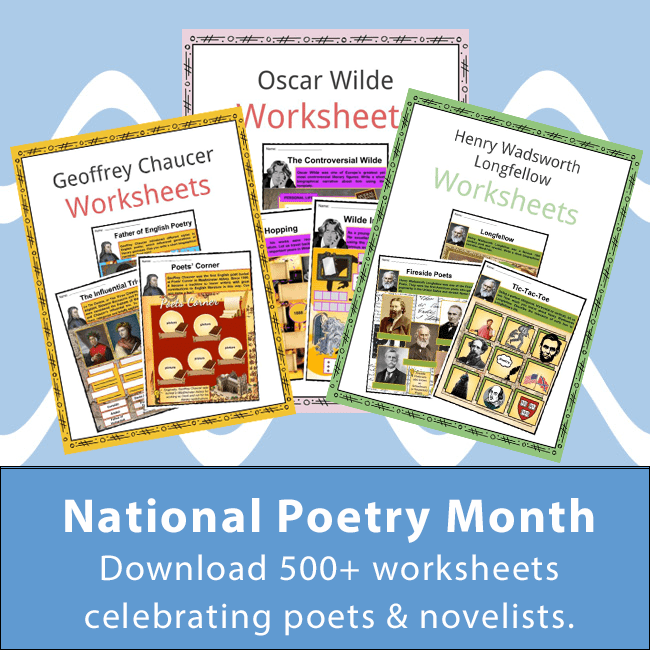 On March 30, 1854, it was signed into law. White males from both Kansas and Nebraska would have the right to vote whether their territories would allow slavery or not. 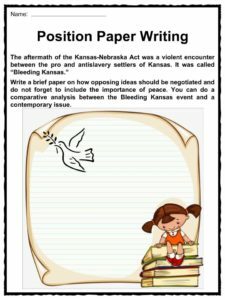 A misunderstanding between the proslavery and antislavery settlers led to the event now known as the “Bleeding Kansas.” The act gave way to the formation of the Republican Party and Abraham Lincoln was one of its first and most famous leaders. In 1856, Pierce recognized Nicaragua as being under the control of the American William Walker, as he had invaded the country. He introduced to the natives, the system of slavery, but before he could apply to be admitted to the Union as a slave state, Walker was executed by British troops in Honduras. 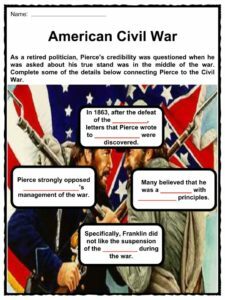 It was believed that Pierce could be easily manipulated and pressured by dominant members of Congress, and so his re-election was not supported by the Democratic Party. For two years during his retirement, Franklin and his wife travelled the West Indies. Some of his supporters from the Democratic Party tried to persuade him to run for re-election in the 1860 and 1864 elections, but Pierce declined. In 1861, the Civil War broke out, and Pierce was very critical of how President Abraham Lincoln handled the it. Though he supported the Northerners, he disliked some of the policies imposed by Lincoln, such as the suspension of the habeas corpus. After the Civil War, he was named the “arch traitor” when his letters to Confederate President Jefferson Davis were exposed. He was even called “doughface”, for being a northerner clouded with southern ideology. After the assassination of President Lincoln, an angry mob questioned the lack of mourning displays in Pierce’s home. He became an alcoholic after the death of his wife, who died of tuberculosis. Franklin spent most of his retirement years in his house in Concord, New Hampshire. On October 8, 1869, he died of cirrhosis of the liver. His body was interred with his whole family at the Old North Cemetery in Concord, New Hampshire. The Franklin Pierce Lake in Hillsborough County was named after him. 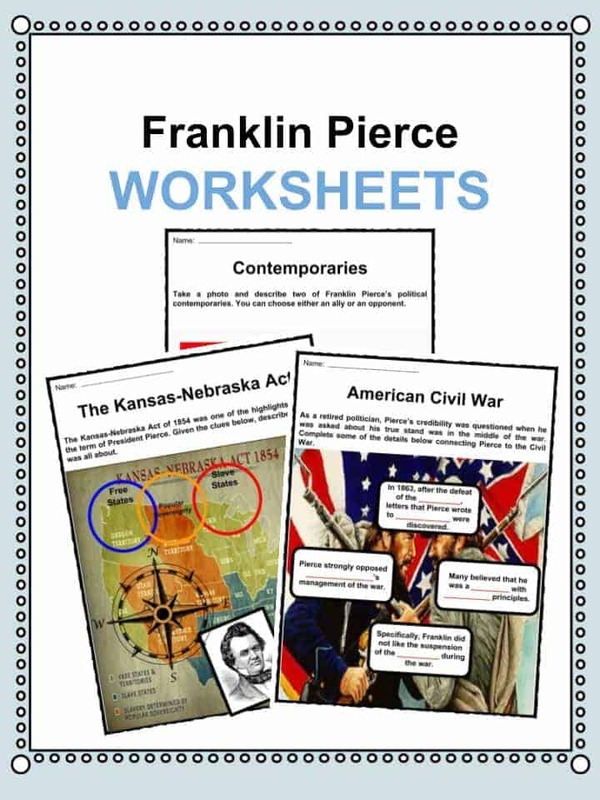 This bundle contains 11 ready-to-use Franklin Pierce Worksheets that are perfect for students who want to learn more about Franklin Pierce who was the 14th President of the United States (1853-1857). He signed the Kansas-Nebraska Act, which fuelled a debate between both Houses of the Congress. Some considered him a traitor as a result of his actions during the Civil War.